You’re going all the way, you crazy cord-cutter. You’ve decided to take back your TV and save $1200 a year. From now on you control what you watch. No more channel blackouts, no more bills. Now it’s all up to you. The problem is that in the last decade you’ve become accustomed to having a DVR. We all have. There’s nothing like the freedom to pause what you’re watching when the doorbell rings, when the kids get loud, or when nature calls. Don’t worry, you don’t have to give up the benefits of the DVR just because you’re going back to antenna TV. That may have been true in the past but now you can have your cake and eat it too. For many, the AirTV Player is the perfect antenna solution. With the addition of a portable hard drive or flash drive, this little box has it all. Pause live TV, record and watch what you’ve recorded. It’s all here in this little, easy to use box. It comes with a built-in grid guide and voice-activated remote. It’s so easy to use, you won’t believe it. For those who aren’t completely cutting the cord, who still want to stream, AirTV Player is a great solution too. It combines live antenna TV with streaming TV from Sling. It’s all there in the same guide, it’s all easy to use and practically impossible to tell from traditional pay TV. The only difference… the price. Sling packages start at about $25 per month. That’s a quarter of the average price of cable TV now. When you want to venture out further, you can use this box to rent movies from Google Play, watch Netflix or Hulu, or use any of the thousands of available apps. Forget about stacking half a dozen black boxes on top of each other. This one box does it all. Best of all the included remote lets you hide that box in a cabinet or behind the TV and it all still works. Serious about TV but don’t want to pay a lot? Here’s the solution. This simple AirTV box hooks up to your home network and to an antenna. Then you set it up with an app and leave it alone. You’ll forget it’s there… except for what it does. Hook up a flash drive or hard drive and you get a 2-tuner DVR. You can watch from your phone, from your tablet, or from any Roku or AppleTV box. You can even connect to a Roku smart TV so there are no extra cables or boxes. Live TV is available in any room that has a TV. But that’s not all. Rooms? Where we’re going, we don’t need rooms. Who wants to stay home and watch TV? Why not take it with you? Wherever you go, if you have a data connection, you have your TV and recorded programs. It’s all there on your phone and tablet. I really mean it, anywhere in the world. Want to watch your home team when you’re away from the area? No problem. Catch up on your shows without paying for Hulu or other streaming apps? Easy peasy. It’s all there, it’s all for you and there’s absolutely zero cost once you’ve bought the device. Why look at TV the old-fashioned way? 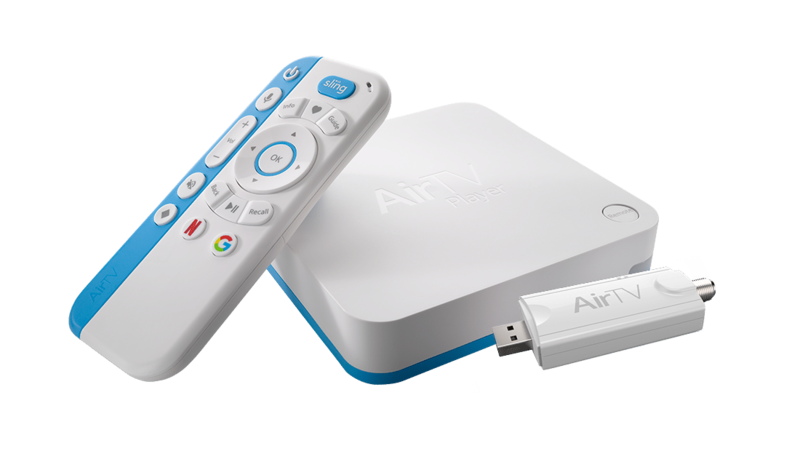 To find out what the amazing AirTV products can do for you, check out the selection at Solid Signal, and call 877.312.4547 with any questions. Seriously? How are TV Converter Boxes still a thing? Should you permanently mount your TV antenna to your RV?